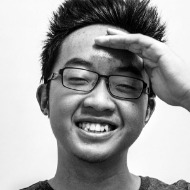 Yong Lin (first name) Tan (last name), also known as YongL is a self-taught Photographer & Digital Artist who creates and resides in Cyberjaya, Malaysia. Born in Penang Island, his passion for art and drawing began early on and it has stayed with him ever since. Throughout his journey, Yong has won a number of digital art and photography competitions both locally and internationally. Yong also obtained his fully sponsored Bachelor’s Degree in Animation & Visual Effects from Multimedia University. Yong's personal mission is to make a positive impact in people’s lives through the beauty of art, all while expanding his local creative art scene on a global scale. He loves to create with a cause he believes in. A cause that will go beyond the boundaries, bring life to every pieces of precious memories and keep it eternally fresh in our world. He truly believe that the purpose of making art is to bring something to life, to deliver a message and feeling which could move the audience. YongL's photography journey has a humble beginning, he started his photography journey in the paddy field of Alor Setar with a basic APSC Digital SLT camera purchased by his mother with a 3 years loan. Read his stories and follow his journey to winning the Youth Award of Sony World Photography Awards 2015 in London.